Dr. Mario Alberto Flores-Valdez is a Professor in the Medical and Pharmaceutical Biotechnology Unit, CIATEJ, A.C., Guadalajara, Jalisco, Mexico (2007-present). He is a member of the National System of Researchers (SNI), he was a Stanford University Medical Center postdoctoral fellow (2004-2007), where he received a Dean's Fellowship Award (2006) to conduct research on Tuberculosis. 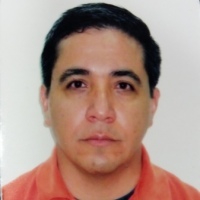 He worked in UNAM as Research Assistant for Prof. Jaime Mora (2004) and Prof. Emundo Calva (2003). He has received a Ph.D. in Biochemistry from UNAM (1999-2003), a M.Sc. in Molecular Biology and Genetic Engineering from UANL (1996-1999) and a B.Sc. from Universidad de Sonora (1991-1996) in Chemistry and Biology. He has received fellowships from CONACYT for M.Sc. and Ph.D. studies and in M.Sc. and B.Sc. has received Diplomas as Best Student. He has reviewed articles for several peer-reviewed journal and has expertise in Tuberculosis, particularly in developing recombinant BCG strains. He has been PI for 6 grants from 2008 to date, focused in studies about tuberculosis vaccine development and basic aspects of mycobacterial physiology. One of the most significant developments that has occurred in the field of medicine and has had more impact on health is vaccination, preventing innumerable cases of infections every year and saving millions of lives worldwide. Since its inception, vaccinology has been refined through a gradual transition from an empirical science to rational design, accumulated in various disciplines, among which cell biology, biochemistry, immunology and molecular biology have contributed substantially. The most important challenges for modern vaccinology is the immediate response to emerging infectious disease caused by new variants of microorganisms and antigenic variants resistant to antiviral agents and antibiotics as well as prolonging the immune or memory reprogramming response in the case of autoimmune diseases and specific activation of a specific type of response. In response to these needs, the line of development and evaluation of vaccines was created with the goal of applying innovative tools for design, development and optimization of formulations with immunoprotective properties for human and veterinary diseases interest, focusing on the use of new immunogens or mixtures thereof and new modulators or enhancers of the immune response.